First, preheat your oven to 375 degrees fahrenheit. 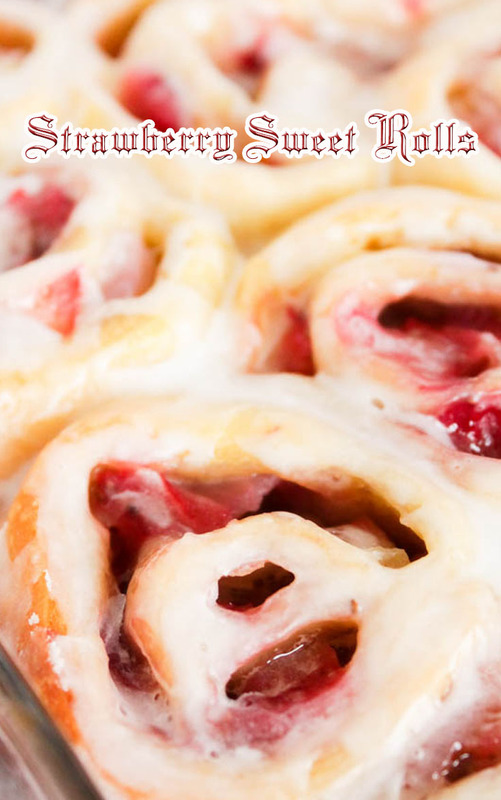 Next, open & roll out your crescent roll dough. Pinch the seems together & roll it out with a rolling pin. Sprinkle 1/4 cup sugar & 1/2 cup of sliced strawberries (evenly dispersed) on top. Place the uncooked sweet rolls in a small baking dished sprayed with cooking oil.